The gap between the rich and the poor has been steadily growing but with the advancements in AI and automation, is it likely that this gap will get even wider? One of the main benefits of using AI is that tasks can be completed faster and more efficiently than ever before. Businesses are lapping it up because it saves valuable time and money. However, it is feared that what may seem a great thing may actually further disconnect the wealthy and everyone else. Advancements in artificial intelligence mean that jobs are being replaced by intelligent systems. This has actually been in place for a number of years now, with machines replacing workers in factories on the assembly line for example, but obviously, now things are much more advanced. Automation has been hitting manual labour jobs hard because employers can save a lot of employment costs and ensuring the jobs are doing with minimal errors. The difference nowadays is that the machines are getting smarter. Smart technologies are everywhere, from TVs to security systems to kettles. Technology is starting to eliminate even the most basic of tasks such as boiling water. AI will continue to develop to where it will replace jobs that do not require much training in order to function necessary tasks. But this is not anything new. Human civilisation has always found a way to improve efficiency. Take the industrial revolution for example. Machines were implemented to improve production output. A number of inventions were made that saw the improvement in the textile industry and the rise steam powered engines. Modern history is no different. The invention of the internet has seen people switch from doing everyday things in person to doing them online. One of the big benefactors of this has been online retailers. The normal shopping experience of visiting the local supermarket or high street is being replaced with internet spending. Why? Because it is so much easier. Doing things from your own home is less stressful and takes a lot less time. The main issues that surround this is fear of the unknown. Will AI end up costing everyone their job and only the rich can survive? While it may be likely that automation will end up replacing a lot of untrained and lower skill-based jobs, people will be able to learn an entirely new skill. Automation systems that have machine learning abilities will not be able to replace everything a human can do. It can be trained to think like a human but it won’t be on the same level. Producers will only automate if doing so is profitable. For profit to occur, producers need a market to sell to in the first place. Keeping this in mind helps to highlight the critical flaw of the argument: if robots replaced all workers, thereby creating mass unemployment, to whom would the producers sell? Because demand is infinite whereas supply is scarce, the displaced workers always have the opportunity to find fresh employment to produce something that satisfies demand elsewhere. As you can see, automation will have to increase the number of jobs in order for companies that create and develop the technologies to sell their product. The more jobs created, the fewer unemployed and so the gap between the rich and poor should close. What is really interesting is that in the UK, the rate of unemployment has been falling over the last number of years. However, wages do not seem to be rising as fast as they should be. Is this because of automation? Perhaps. With the rise in machines being used to replace jobs, the ex-workers have to find some other form of employment. AI is strong in logic and complex thinking but struggles with basic tasks. For example, a computer will be able to easily solve difficult mathematical equations but won’t fare as well as a postman without being embedded into a movement device. It most likely pays less to deliver letters but because a computer can’t do it, the unemployed have little option but to take these jobs. So if this were to happen, it could be said that AI will increase economic inequality because jobs will cease to pay well based on the low skills that are required to do them. The less money in circulation, the less wealth can be distributed. The more that technology replaces humans in the workplace, efficiency will increase which in turn, increases wealth. The current problem we have is that when we start to see the benefits, they should be available to everyone. This is the major point that needs to be tackled to solve the wealth distribution problem. The fewer people that are in work, the more the government will have to support the unemployed with extra welfare programmes. At the same time, the jobs that are created must reflect economic sustainability in order for workers to maintain a worthwhile lifestyle. There are schemes that are being trialled now in order to prepare for the robots age such as the universal basic income. This has been rolled out in Finland and is being said to make people want to go out and get a job. But this is just one potential route that can be taken and governments across the globe will have had discussions about how to keep up with advancements. There must be a genuine attempt at sorting this out so we are not left behind. Inequality, without a sustained attempt at the redistribution of income, wealth and opportunity, will increase. If used properly, integrating AI into modern life will only help society advance to levels we have never experienced before. However, using too much too soon could put too many people out of work and increasing the gap. It is important that those that could be threatened by the integration are educated on how they can stay in work but not have to settle being worse off because of a robot. What Is The Captcha Library & How Does It’s Existence Fuel The AI Revolution? A lot of websites, whether you’re signing up or purchasing something, are now asking you to prove you are not a robot. How many times have you seen the image on the right and being asked to answer a question to show you’re human? It’s everywhere; CAPTCHA has taken over and is becoming a major part of the AI revolution. Let’s start a the beginning. A Completely Automated Public Turing test to tell Computers and Humans Apart (CAPTCHA) is a challenge-response test used to tell human and robotic behaviour apart. The most common type of CAPTCHA was first invented in 1997 which required users to distinguish the type of letters in a sentence. The test was that the images were usually distorted in some way as a computer would find it difficult to read. The tests are carried out by computers rather than humans. This often leads to CAPTCHA tests being referred to as reverse Turing tests. A lot of web applications are now implementing CAPTCHA as part of their on-screen security measures. CAPTCHAs are fully automated computer operations that require little to no human input and maintenance. This means that businesses can save a lot of time and money on resources and maintain consistency. Once programmed, CAPTCHA programmes provide accurate and reliable tests. The algorithm used to create the CAPTCHA must be made available to the public, though it may be covered legally by a patent. This is because breaking the CAPTCHA programme requires the solution to a difficult problem in the field of artificial intelligence (AI). Invariant recognition refers to the ability to see the numerous amounts of different possibilities to how a shape can look or presented. A computer needs to be taught how to successfully identify these possibilities as a human has an edge; the brain. Teaching these to a computer is actually incredibly difficult. Segmentation is another power of CAPTCHA. This enables the programme how to separate and distinguish one letter from another. Again, this is another challenging task for CAPTCHAs the letters are usually clustered together with no white space between. Unlike computers, are very good at distinguishing patterns. Computers have to separate the recognition and segmentation processes whereas humans compute both at the same time. The human brain combines both into the same process. Context is the final skill but is just as important as the previous two. CAPTCHA must be understood to correctly identify each character in the given phrase. For example, in one segment of a CAPTCHA, a letter might look like an ‘o’. However, after reading the word and understanding the context, it becomes clear that the letter is actually an ‘a’. Humans are able to automatically understand what context the given text is applied. By being able to do this, humans cannot be tricked into thinking one letter is another. On their own, each of the three above challenges is a tough task for a computer to complete. All three at the same is ridiculously hard. This is what drives the consistency that CAPTCHA provides a computer system. 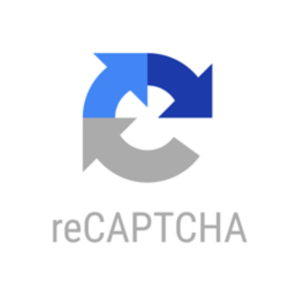 Most CAPTCHAs are used for security reasons; as we saw at the beginning of the article, the reCAPTCHA check is being used by numerous businesses. A difficult example of an AI problem is that of speech recognition. CAPTCHA programmes may use this technique as the underlying method for identifying human v robotic interaction. von Ahn, Blum and Langford go on to say in the article that as CAPTCHA is used for security purposes, it is important that the AI problems that use it are useful. If the AI problem is useful, there is either a way to differentiate between computers and humans, or a useful AI problem has been solved. Each time a CAPTCHA is solved, the computer is taught how to do it again. This is a machine learning technique; each time the computer is taught the solution, it becomes more accurate. But where did they get these from? Original CAPTCHA strings were actually scans of complicated words from old books that existing computers couldn’t recognise. The original developers wanted to use the CAPTCHA system to finally convert some of the oldest works in existence into digital format. In this process, they had found that traditional scanning methods such as OCR could not detect certain words. Naturally, to go through these words manually would take them an infinite amount of time due to the sheer size of the number of books they were keen to convert! Thus, using these indetectable words as their dataset on the original CAPTCHA system was not only a safe solution to the captcha problem (as they could be sure computers hadn’t recognised the text), but also they could use this to get a lot of people working on this at once to help convert the books! What Is Home Automation & Is It Secure? Smart technology is booming. Smart homes ie home automation is becoming increasingly popular with people investing more and more into automated technology. It’s getting to a point where everything can seemingly can be automated and controlled by an app. This post will be discussing what home automation is and whether or not it is safe to use. After all, anything that is smart can technically be hacked… including your kettle! Also referred to as domotics, home automation is, as the name suggests, building automation for a home. Machine learning and data mining play an important role in most home automation systems. It helps to predict user activity. The process involves hooking up the device with internet in order to be activated. The modern systems are controlled by mobile phones, computers, tablets or off-site systems that have access to the internet. Although not usually linked with home automation, early forms include the invention of the washing machines, refrigerators, dishwashers and tumble dryers. This is the area where most smart home technology is being developed. Home security applications like the Nest are one form of home smart security applications, ranging from cameras to alarms. Some of the applications can be programmed to recognise the homeowners face so if there is an intruder and the camera picks them up, the technology will know that the person is not a friendly face. Updates can be sent to the user’s mobile phone via the application to give them all necessary notifications in real time. Hive are a company that specialise in providing smart heating and lighting to someone’s home. The user simply attaches the hub to their boiler or heating system which is then controlled remotely by the user’s phone. They can then set the remotely temperature to their desire. The same process works for the lighting. You simply insert a light bulb into the socket and then control it via the mobile phone app. I’m sure you’ve heard of the term smart TV by now. It’s the latest buzzword all over the adverts. This means that a television can be connected up to the internet meaning that a user can browse the web, on demand catch up TV and access online streaming services like Netflix. The software is loaded into the TV’s operating system and available through the application, similar to accessing apps on a smart phone. This same techonolgy can also be found on games consoles, DVD and Blu-ray players. Kitchens are getting increasingly ‘smarter’. Technology is advancing so that ordinary appliances can be connected to the internet to provide an even easier use. Refrigerators are becoming automated. Smart refrigerators let a user see the contents of their fridge on their mobile device. Home automation can also be used by radios or television units by connecting them to the home WiFi. You can now even buy smart kettles. A user can control the exact temperature they want their water to reach when boiling. All from the convenience of a mobile phone application. Of course all these examples have one thing in common: they are all intended to make life that much easier to things you do every day. With all this technology however, there are a lot of concerns. Can all this technology be hacked? Will it work when I need it the most? Will it turn on by itself? Considering a lot of smart technology that is being developed is being used in the security business, it’s pretty important that the answers to these questions can put to bed any fears people may have. To sum it up as simply as possible: home automation is safe. Connecting all your security equipment and other appliances up to the internet is safe and secure. The data that is shared between your device and the internet is encrypted so even if there is a breach, an intruder can’t do anything with it. As long as your internet passwords are strong, it is unlikely that anyone can get access to your network in the first place. When setting up your new or existing devices, change the default password to something memorable that only you would know. Use a different password for each different device and keep them on a need-to-know basis. If you only use a single password for everything and there is a intrusion, the hacker can access everything. Include a combination of at least an uppercase letter, lowercase letter and number in each password. If you haven’t got one already, make sure your phone has a password or some sort of security on the lock screen. All your apps can be accessed on this one device so keep it secured. Install all updates that are available. Most updates will always include some sort of security upgrade to keep you as safe as possible. All these are simple to follow and easy to implement straight away. Keeping your network and devices is the most important thing to do when integrating automation into a home. Once you have done all these, you will be secure and enjoy the many benefits of smart technology in your household. A smart home is a very efficient way of living in modern society. They are very convenient and make usually easy tasks, such as flicking a light switch, effortless. Just bear in mind how many devices you really need to connect to your network. Do you really need that kettle to tell you the exact temperature your water is at? Pick only the equipment and appliances you really need to access the internet and you will be less vulnerable to potential breaches.